Are we in the midst of an art world bubble? Experts will delve into the quantifiable aspects of the art world and discuss the more enigmatic forces at play. As record-breaking auction prices grow less and less surprising, investors, collectors, and the media alike continue to fuel growth for the foreseeable future. Using price information from the mid 80’s through today, we will delve into the quantifiable aspects of the art world and discuss the more enigmatic forces at play. Jane Borthwick is the Managing Director of Ronald Varney Fine Art Advisors. As a trusted art advisor and strategist, she specializes in the management of diverse and specialized collections. Jane advises families, private collectors, foundations and museums in creating strategies for initiating, building or dispersing art collections. She has handled the marketing and sales plans for the estates of prominent artists. Jane has sold works by: Amedeo Modigliani, Pablo Picasso, Joan Miró, Alexander Calder, Joan Mitchell, Henry Moore, Louise Bourgeois, Fairfield Porter, Louise Nevelson, and Andy Warhol, among other artists. 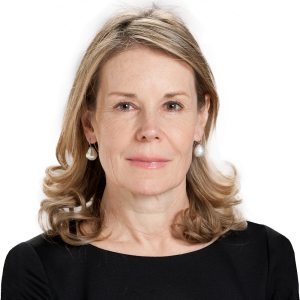 Jane has been quoted in The New York Times, Private Asset Management, and Private Wealth Focus and she speaks frequently on the topics of best practices in art collection management. She is a graduate of Harvard College and the Harvard Business School. Claire Brown is Associate of Business Development at Winston Art Group, the largest independent art appraisal and advisory firm in the United States. Winston Art Group assists clients with appraisals for all purposes, advises clients on buying and selling works of art, and handles the management of clients’ collections. Winston Art Group’s 75 specialists cover all areas of fine and decorative art, jewelry, and collectibles in the United States and overseas through offices in New York, Los Angeles, Boston, Palm Beach, Houston, Denver, Geneva, and Tel Aviv, and representatives in Miami and London. Claire’s background lies in journalism, art history, and museum communications. Prior to joining Winston Art Group, she worked in the editorial departments of TimeOut Chicago and Condé Nast Traveler, as well as in the Communications Department at the Mary and Leigh Block Museum of Art. 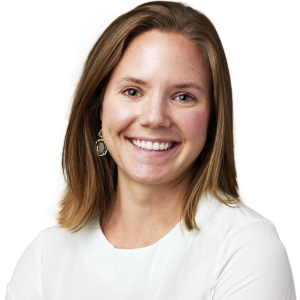 Claire attended Northwestern University, where she received a Bachelor of Science from the Medill School of Journalism, Media, Integrated Marketing Communications with a double major in Art History. Claire has published editorial on the art market and art advisory in Trusts & Estates magazine and on wealthmanagement.com, has lectured on behalf of Winston Art Group for the Inland Marine Underwriters Association and for private client events in the New York area addressing appraising and advising on the acquisition, sale and collection management of fine art, decorative art, jewelry and collectibles. She is also co-authoring a chapter of the forthcoming book “The Regulation of Art Investments” to be published in 2015. Claire is certified in Uniform Standards of Professional Appraisal Practice (USPAP), an Associate of the American Bar Association, and a member of the Professional Organization for Women in the Arts (POWarts). Susannah Wilson joined artnet in 2013 as the Director of Strategy, where she combines her expertise in the worlds of art and business. Previously, she earned her Honors Bachelor’s degree in the History of Art and Architecture from Harvard University and has experience in all sectors of the art market, including galleries, auction houses, and museums. She also spent three years at a boutique financial services consulting firm in New York City where she advised bulge-bracket banks in the aftermath of the financial crisis. Susannah later returned to Harvard, earning an MBA from Harvard Business School, where she was elected president of HBS’s Art Society and selected for a fellowship with Lincoln Center’s Strategy Group. 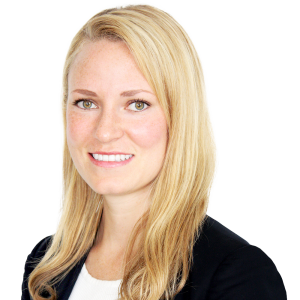 At artnet she is responsible for leading strategic initiatives across the firm’s various internal departments and for evaluating external partnerships and special projects.